I have to admit: shopping is definitely my thing. I scour online and print ads looking for sales. I track trends. I have even been known to wait outside of stores at 2 am for Black Friday markdowns. 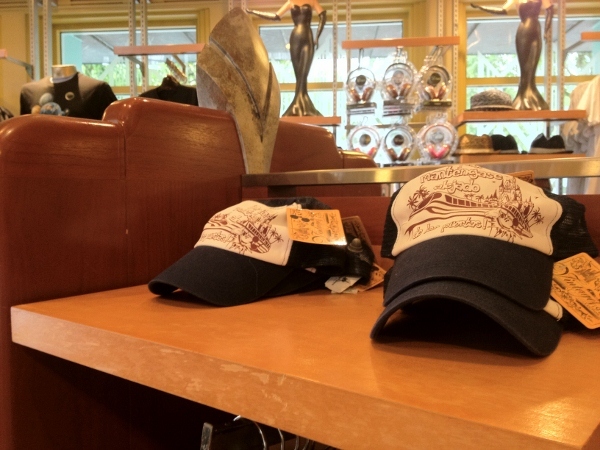 However, when it comes to Disney shopping, I tend to relax a bit and study the merchandise before it becomes my own. This is why the trends in the quality and type of items sold in Disney parks was a concern for me over the past several years. 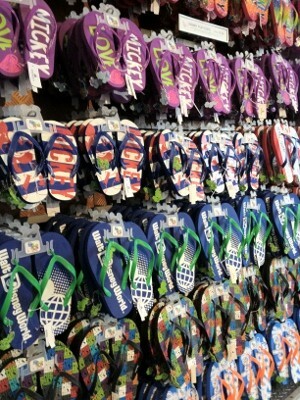 It seemed as if merchandise homogenization and mass production had become the norm. Luckily for guests and the company alike, this is definitely no longer the case. 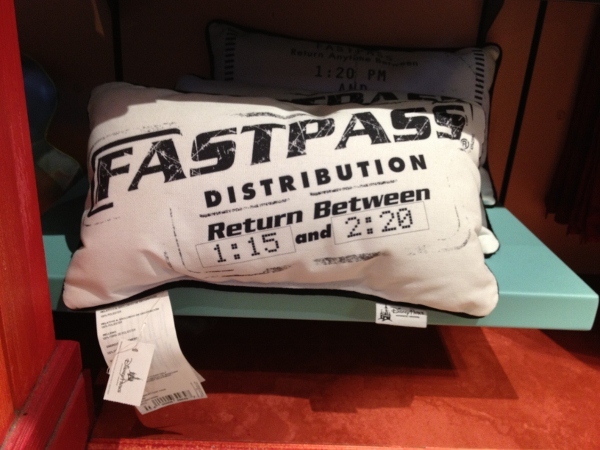 Last week, I brought to you the news that resort specific merchandise has returned to store shelves. This article received a massive response from readers with over 6000 “shares” and much discussion across the World Wide Web. 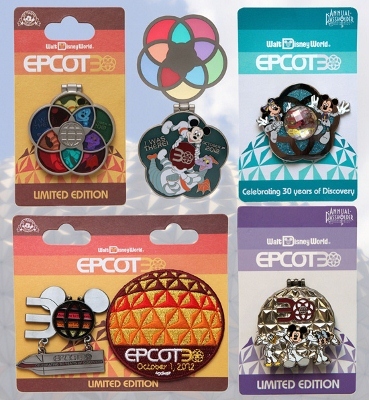 It’s clear that there is a strong interest in the items sold in the parks (and subsequently has been for quite some time), so it just solidified my confusion over why Disney was leaning more towards the generic instead of the unique for so long. After much research and swipes of my trusty debit card, I can safely say that Disney merchandise in the parks is on the mend. I remember shopping at Walt Disney World as a kid. Pens, magnets, plush, toy cars, figurines – they had it all. As I got older though, I became attracted to the jewelry and collectibles that filled the shelves. Similarly, I loved finding that one item that I could take home knowing it was special and not something to be found elsewhere. 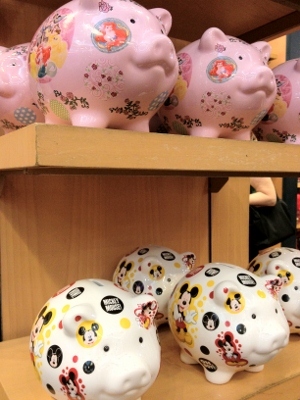 Disneyana collectors agree that well-made, unique merchandise makes a trip to the World that more exciting. 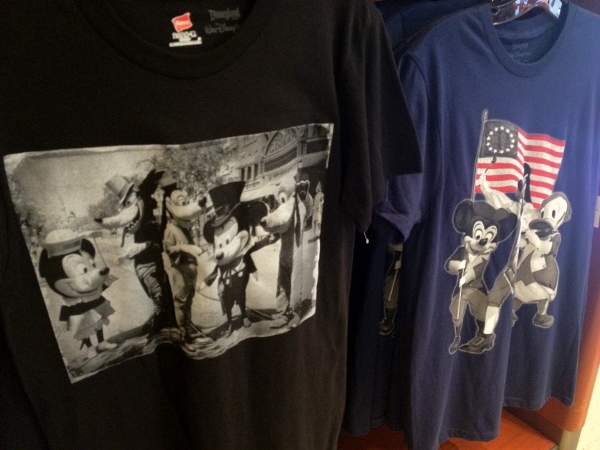 Recently, I spent time studying what Walt Disney World shops had to offer for both veteran and new guests alike. I was pleasantly surprised with what I found. 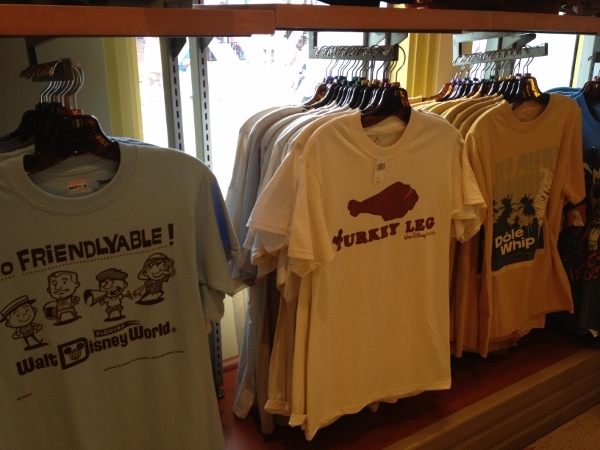 Clothing found in Walt Disney World shops has grown to more than the standard t-shirt or shorts. 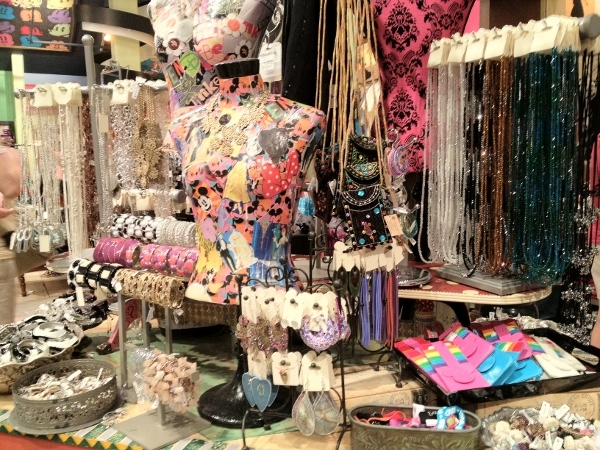 Now, you will find a wide variety of items for purchase including blouses, purses, shoes, dresses, scarves, and more. 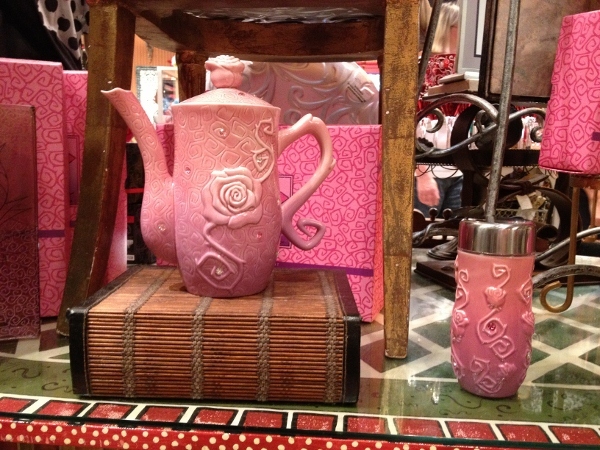 What makes these items truly “magical” though is the theming. Disney is definitely picking up on the die-hard fans’ appreciation for the little details of one’s vacation. 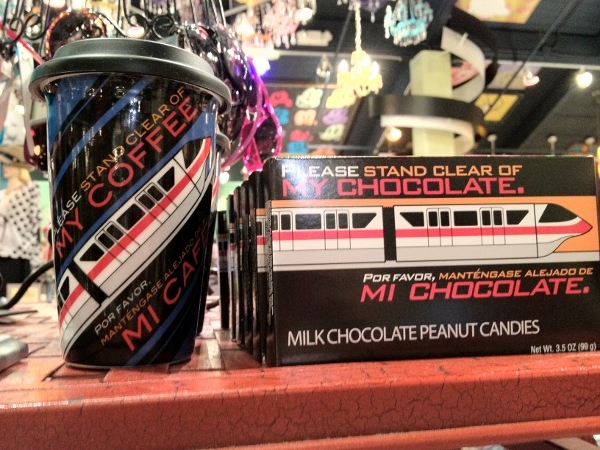 For example, how many of you readers out there have eaten a Mickey bar on a trip? What about a turkey leg? Dole whip or churro? You can share your love for these sweet treats by sporting one of these new tees or a hat. 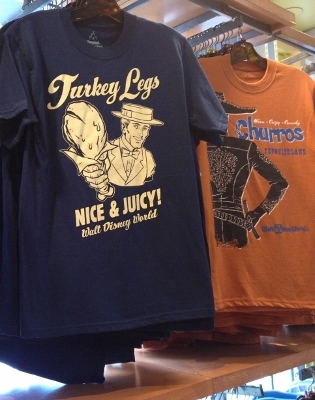 Images: Unique t-shirts at Walt Disney World highlight favorite snacks and fun at the parks. Image: Who wouldn’t smile at the sight of this hat? Another trend focuses on the “good ole’ days” and uses nostalgic icons and theming. 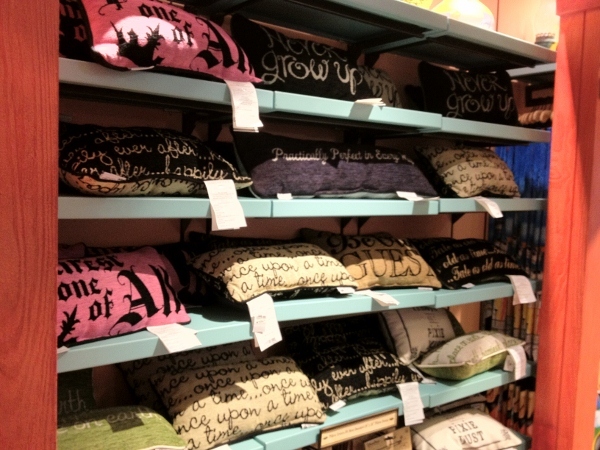 Old-fashioned signage, photos, and quotes from Walt Disney himself can be found on a variety of items. Which do you like best? 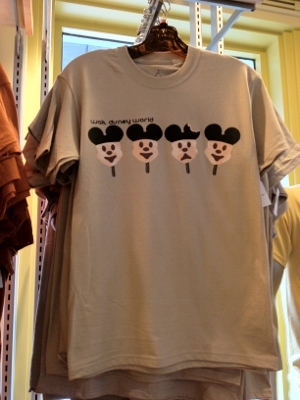 Images: Classic Disney sayings and icons can now be found on your favorite clothing item. 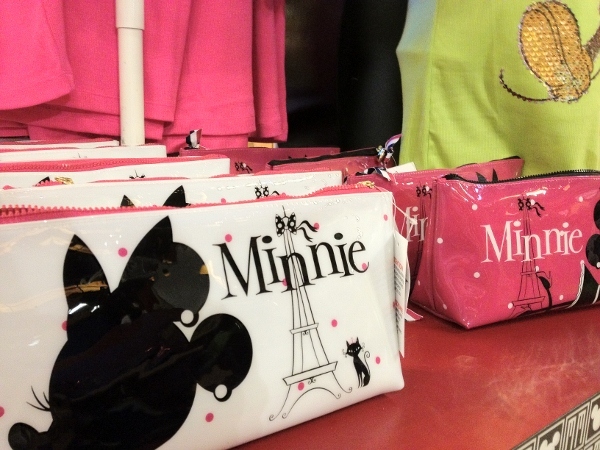 If you’re looking for something a bit more modern, you might consider the new “Amour Minnie” line. 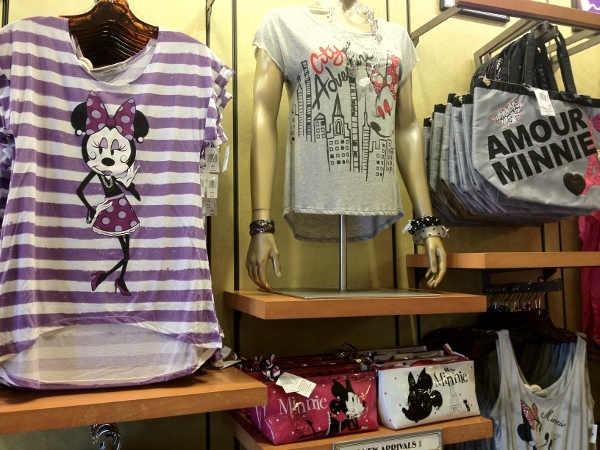 This trendy collection features blouses, purses, and jewelry with our favorite female mouse as she travels to Paris. 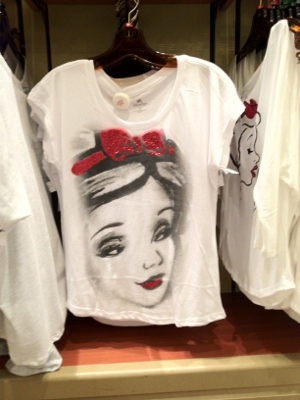 If you’re looking for other characters to show love to, various tops featuring Disney princesses in an airbrushed style are also available. 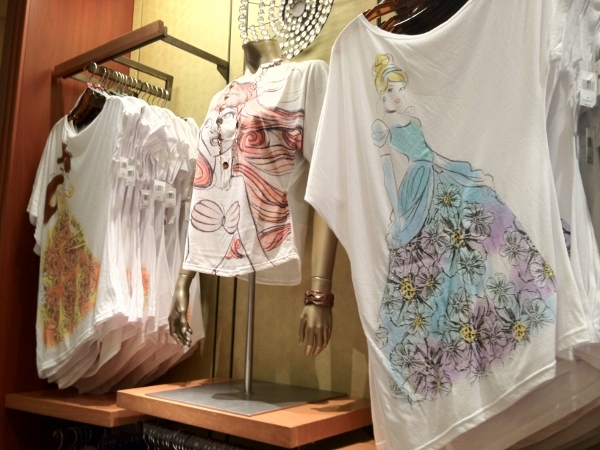 Images: Tops for female guests are cute, but trendy. Speaking of a more modern approach to fashion, our squawking fellow, Donald Duck, just had to get in on the action. 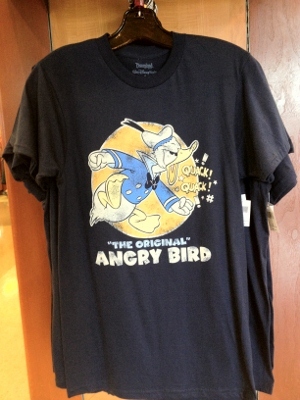 Image: Donald Duck, the original angry bird – it’s true! It no surprise to those following this blog that Disney’s collaboration with Dooney & Bourke and LeSportsac have offered new handbags and totes for park goers. 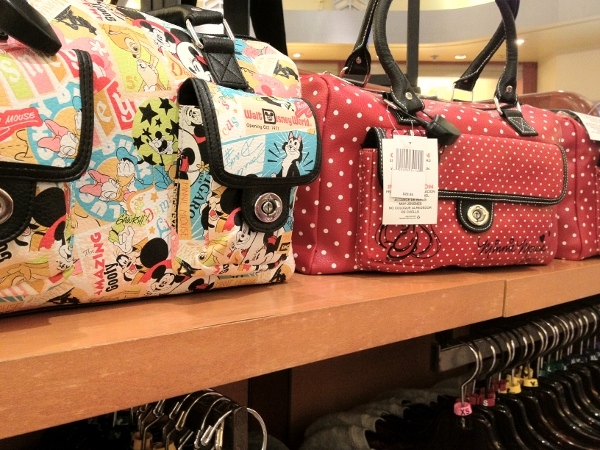 However, Disney has put out other collections of bags that are worth mentioning. Some focus on one character, like the Minnie Amour purse seen below, while others highlight old comic prints or familiar patterns like the classic Minnie polka dots. 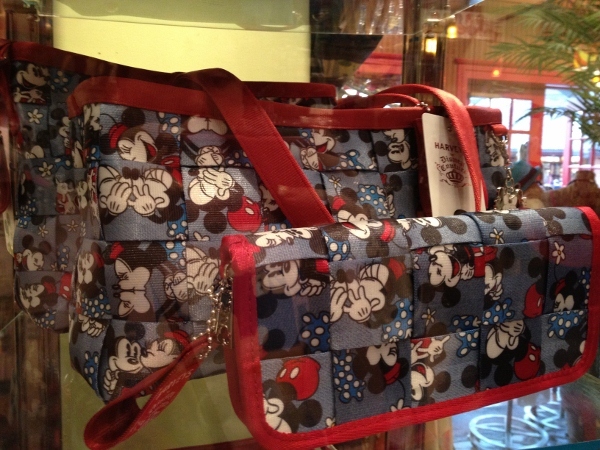 While these items can be found throughout the parks and Downtown Disney, Tren-D, my personal favorite store on property, also carries several other bags and totes that can’t be found elsewhere including those from Disney Couture. 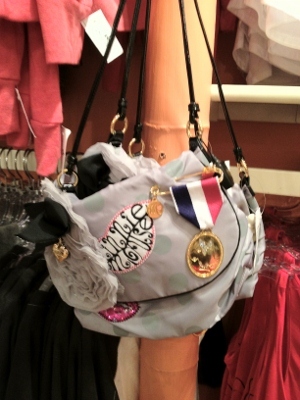 Image: You can find specialty items at Tren-D in Downtown Disney like the above handbags. 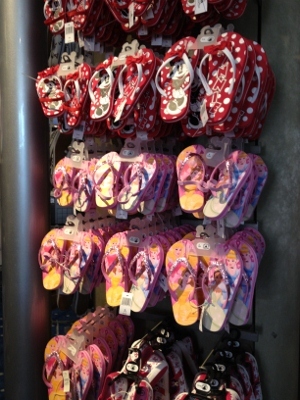 Earlier this summer, Disney announced a new flip flop collection. 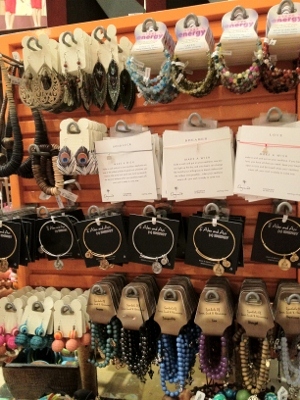 The line includes a variety of styles for women, men, and children. I was very pleased to see the numerous patterns of the shoes. Bright colors and geometric shapes in the women’s line made it difficult to decide on just one pair! 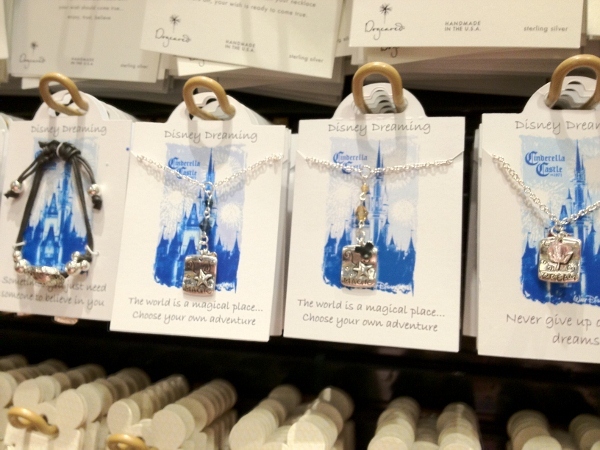 Images: Decorate Your Feet – Disney-style! Each time I visit Walt Disney World, I tend to pick up a watch or other special piece of jewelry. There has always been a great number of styles and items available. 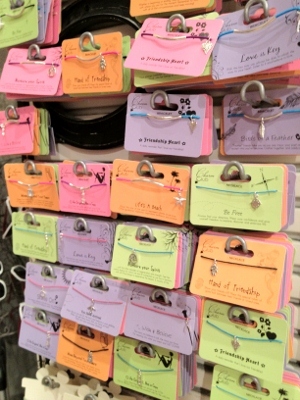 Some of the new pieces include Alex and Ani, Charm Club, Disney Dreaming, and Make a Wish necklaces and bracelets. I found the sentiment and positive message with some of these items to be heart-warming and made sure to pick one up. Most of us out there enjoy adding a touch of Disney to our homes, but are not committed to having Mickey’s face plastered at every corner. 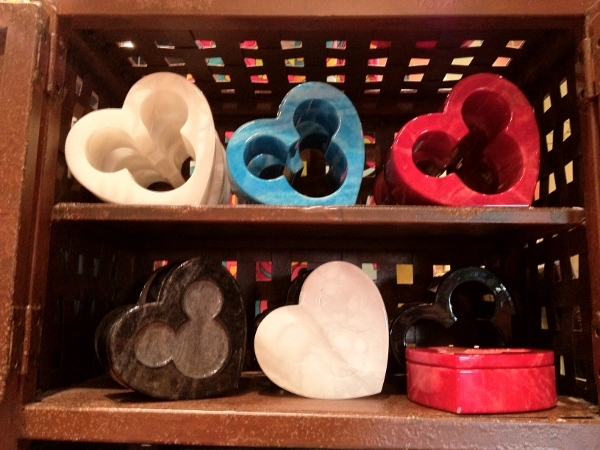 With some of the new items out, you can share your love of the parks in more subtle ways. 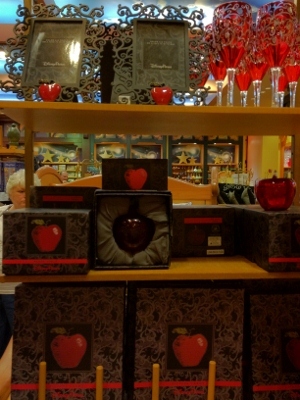 Pillows, candles, ceramic travel mugs (think fancy coffee shop style), candies, and decorative items are now appearing in stores. Many even focus on icons or sayings from favorite attractions and films. 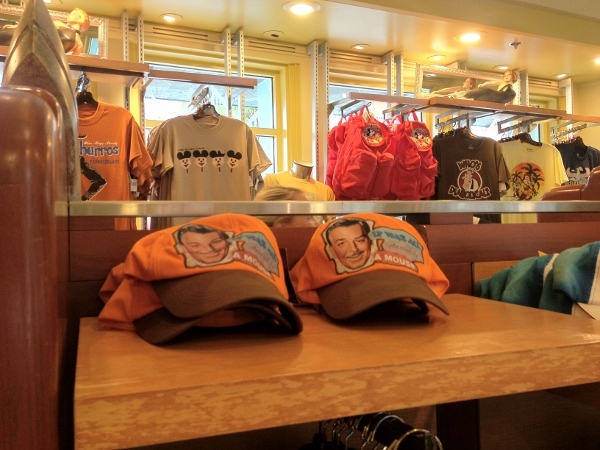 After spending a great amount of time looking at the items in Disney shops, I can definitely conclude that they are listening to “guest demand” and offering new merchandise that touches upon fan favorites. 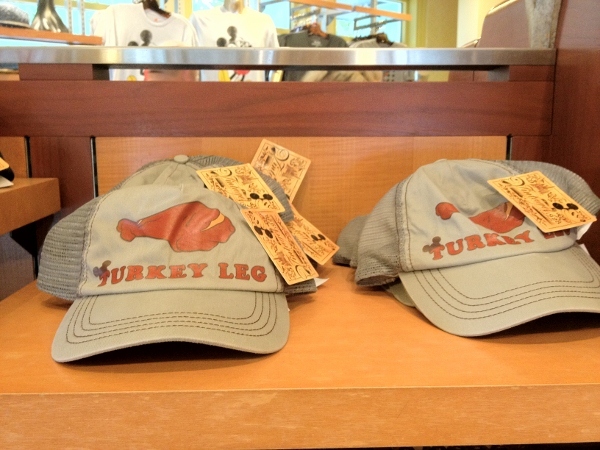 Those in the offices have finally realized that there is a market for items that celebrate what makes Disney such a great place to visit and are using that to their advantage; I don’t blame them and am happy they are doing so. 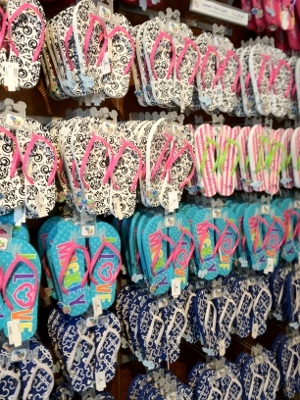 So, be sure to visit your favorite shop the next time you are on vacation. You’re bound to find something unique and special to bring home along with those beloved memories! 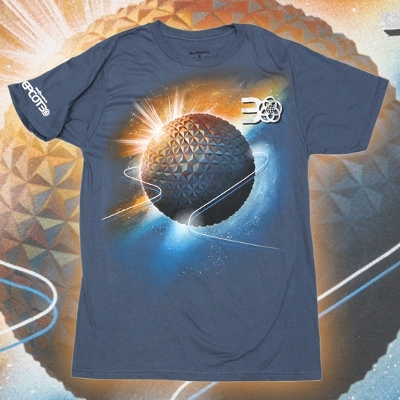 This morning, Disney Merchandise Group released information about specialty items that will be available for Epcot’s 30th anniversary on October 1st. Once again, I feel solid in my conviction that Disney is now listening to guests and their desire for merchandise that touches upon unique park icons and experiences. 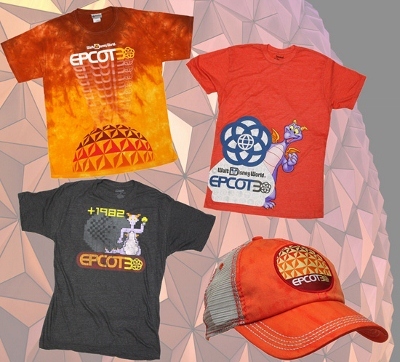 The new items highlight some of the beloved favorites from Epcot visits including Figment from Journey into Imagination, Spaceship Earth, and even the now deceased Horizons pavilion. Similarly, there are even designs mimicking old attraction posters. 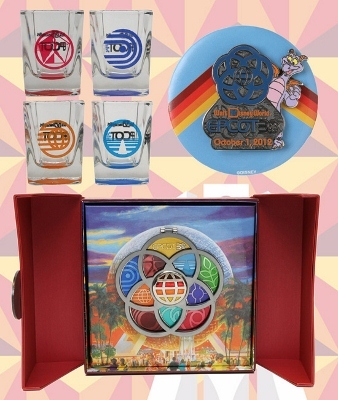 Images: The new collection features iconic Epcot images and attractions on pins, toothpick holders, and more. What’s New in the Rumor Mill for Walt Disney World?